Brenntag Tunisia works closely together with Brenntag affiliates in Europe. Therefore, we can also make use of their blending facilities. 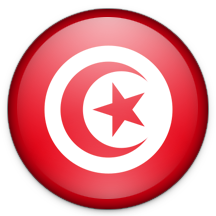 We have frequent shipments out of the Benelux plants to Tunisia. In that way, we can offer you cost efficient blending solutions. Please find hereafter more information about our blending plants and services in the Benelux and in Europe. Brenntag disposes of 5 locations to blend different kind of mixtures for our customers. Our specialties are liquid/liquid mixtures and liquid/solid mixtures. These mixtures are available in various packagings, from deliveries in bulk to deliveries in cans. Single powder solutions or complex compositions? Our team strives to introduce the best possible solution to the customer. Moreover, our different installations meet the highest demands of Food and Cosmetics. Besides our own equipment, we can also use the installations at other European Brenntag sites to produce, amongst others, mixtures of solids. This European network allows us to produce close to our customers, which results in a more convenient and cost efficient logistic process. Should you require any more information, you can contact one of our Account Managers or the Brenntag Blending Solution coordinator.